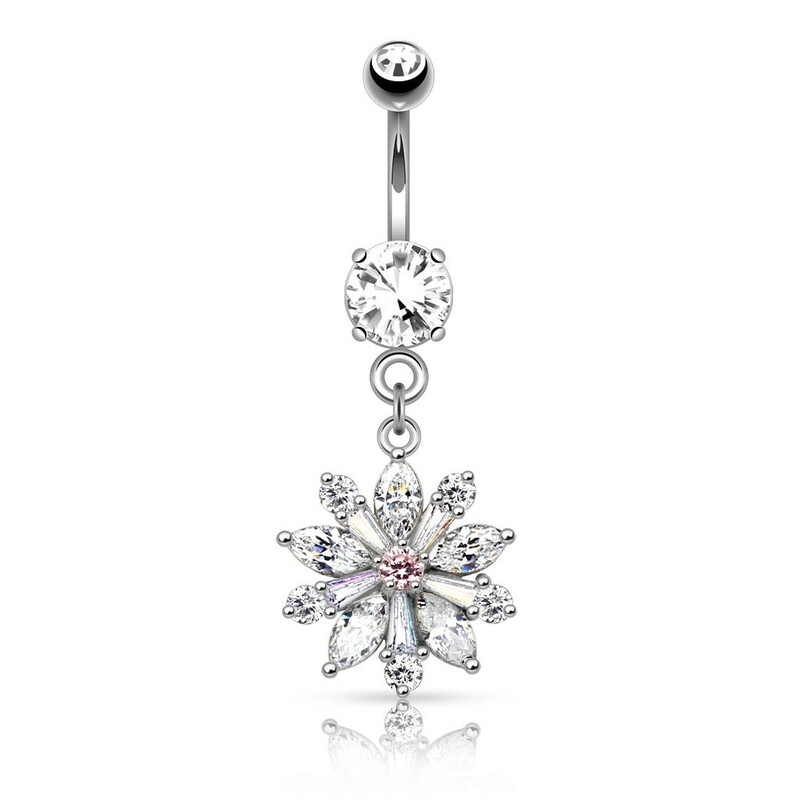 This belly button piercing carries a striking flower made of crystals slightly over 1.5 cm big. The many crystals are placed as free as possible exposing them to as much light as possible and creating the strongest possible glimmer. The centrepiece is light pink giving it just a bit of colour. Looking for a bit more color? This flower is also available with several pink crystals.